What a bumper way to start the first act of RESTORATION. After some very impressive warm ups in the large space, the dancers spread out around the stage, some at the barre in the centre of the arena. What hits the speakers? Big Spender from Sweet Charity and they look great! It will be a first act of surprises and a second act of certainty and culture. 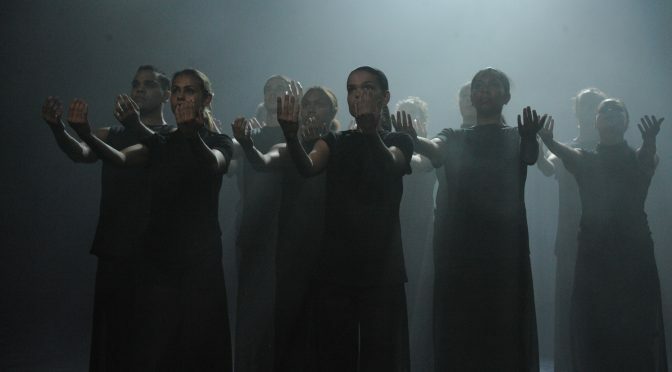 NAISDA is a dance school providing world class expertise in cultural and creative training. 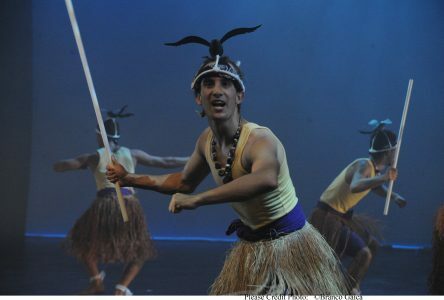 The college is graduating elite dancers who have culture as a bedrock for their arts practice. The graduating artists whose work is showcased in RESTORATION are Lillian Banks, Shana O’Brien, Bradley Smith, Mendia Kermond and Jye Uren. Remember those names. These are the stars of the very, very near future.